The awesomeness of heading to a beach is euphoric in and of itself. There’re beaches that offer the modern amenities blended perfectly with whatever tradition followed in that place and gets the best ambience out that makes the beach as popular as ever. There’re beaches that don’t offer much in terms of luxuries, but are very rich when it comes to natural resources. As long as you don’t preserve or conserve any form of wildlife, nature, plants etc, the ecosystem wouldn’t look beautiful, and if spoiled, the place loses its natural elements and man has to invent artificial ideas for balancing whatever lost. They say prevention is better than cure; at least, we must take that seriously and preserve what is there rather than build what was there. That said, you got to shower praises on Hollywood for creating a unique beach. 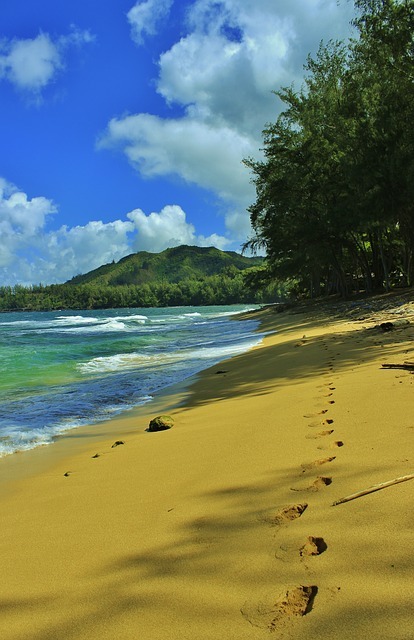 The Hanalei Bay is located along the Northern Shores of Kauai and stretches a good two miles with golden sand with a background of hilly volcanic cliffs braided with waterfalls jumping from a mesmerizing 1000 feet. The clear blue waters are house to colorful coral reefs, rainbow-patterned fish and a heaven for avid divers and snorkelers. 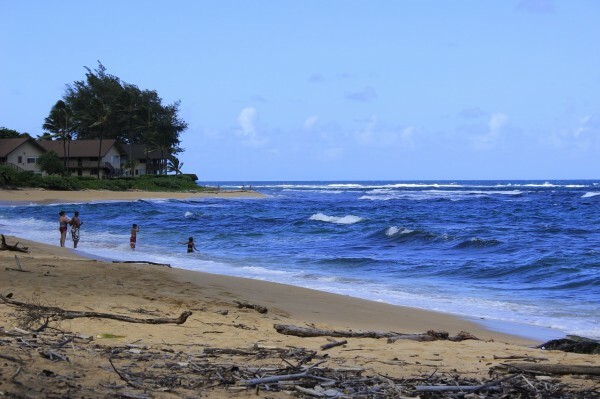 At summertime, the Hanalei Bay waters relax a bit flowing with sunny weather thereby turning placid resembling a big swimming pool. During this time, opportunists are avid fishermen, swimmers, kayakers and canoe paddlers. On the other hand, winters make the waters rougher where large waves are created drawing windsurfers and board surfers to the gigantic breakers.